Are Sofia Andres And Mavy Legaspi Now An Item? Yup, he's Carmina Villaroel and Zoren Lagaspi's son. 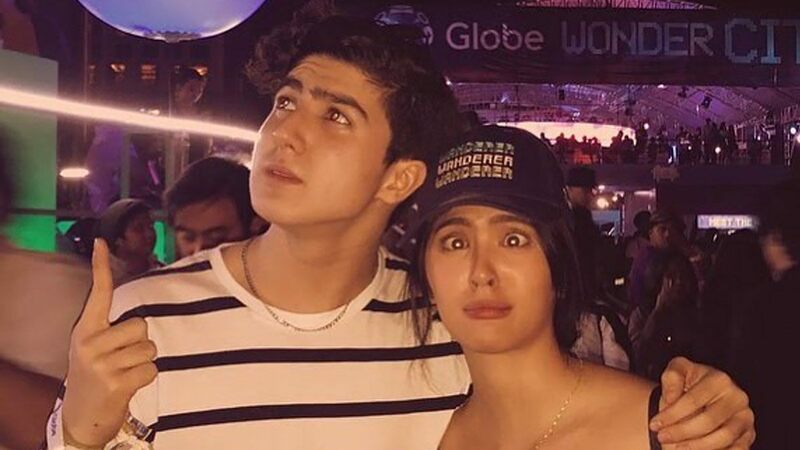 Netizens were quick to speculate a blossoming romance between actress Sofia Andres and Mavy Legaspi, the 17-year-old son of veteran actors Zoren Legaspi and Carmina Villaroel, when a picture of them cozying up in an event was posted by a fan account on Instagram. Barely a month ago, Sofia's ex-boyfriend and love team partner, Diego Loyzaga, commented on his Instagram account and revealed that the 19-year-old actress already has a boyfriend. After facing heat for a photo he posted with a friend, Diego reacted to a commenter, "@mikmikaiiko yeah you didn't get my comment. Sofia and I are not together. Pls. don't think we are. Baka may magalit." To another netizen, he made his statement even clearer, "@ac_autria Sofia has a boyfriend." This made netizens support their speculations that the person Diego was referring to could be the Mavy. As of press time, Sofia and Mavy have yet to comment on these claims. Editor's Note: It was initially published that Mavy Legaspi is 18 years old. We have since corrected the error.